Before I say anything else, I must confess something. I fell in love with this band, from the very first time I heard this album. This is a rare occasion in my case, as usually, it takes a while for me to get into a band, no matter how good they are. But there is something about Entartung, which got me addicted to their music from the very first listen. In the following paragraphs, stay with me as I try to explain why 'Peccata Mortalia' is an album that I will enjoy for years to come, without tiring of it. Entartung is a two man black metal project formed in Germany in early 2011. Right from the time of their inception, this band has been trying to create black metal that stays true to the original black metal ideology – ugly grotesque music that is not meant to be enjoyed by everyone. Their attempts resulted in their debut album ‘Krypteia’, released in 2012. 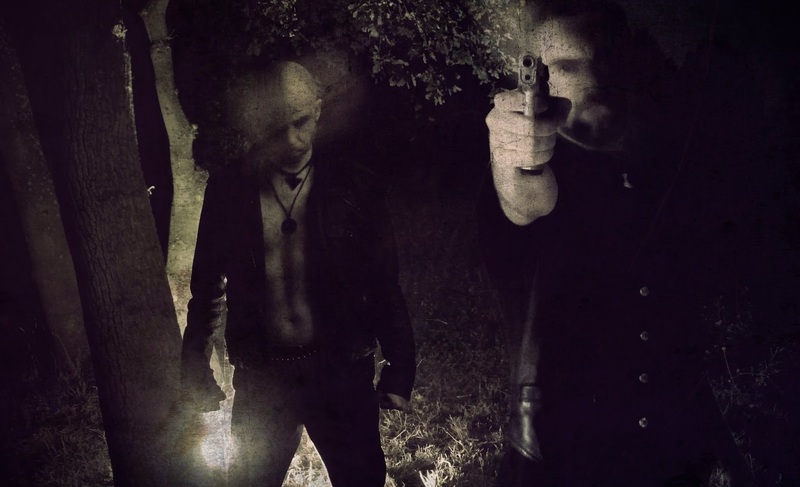 As of last year, Entartung set out on a mission to top their debut and the product of this mission, titled ‘Peccata Mortalia’, will be unleashed through W.T.C Productions on 8th March 2014. ‘Peccata Mortalia’ is a record, where every little bit of it seems to be carefully chiselled with great attention to detailing. ‘Der Hölle Herr’ kicks off the record and it is a beautiful piano piece accentuated by gothic chants, which gives way to something dark and grotesque. Following this total pandemonium is unleashed as the band sets loose the black metal mayhem. The storm that this band unleashes in not completely devoid of melody and it carries just enough melody to give the tremolo madness a character. The guitar work of Lykormas is quite exquisite and instead of staying in the forefront to garner attention, the guitar stays hidden behind the raging atmosphere. As a result guitar work comes off as subtle touches that add a hint of beauty to the overall grotesqueness of the music. All the tracks in the album share a common trait in that they are long. Despite the long play lengths, the band successfully avoids monotony and manages to retain the listener’s attention. This, they achieve with the help of subtle elements that they add to the music, like the gothic chants (‘Blasphemaverit in Spiritum Sanctum’), melodic interludes with clean guitars (‘Out of Darkness into Light’) and atmospheric passages with natural soundscapes (‘To Conquer Immortality in the Depths’). Lykormas also handles the drumming on this record. Though his double bass work does not showcase anything extraordinary, it is compensated by the subtle technicality he adds while handling the crashes and rides. Vulfolaic performs some very sickening vocals on the records. While he prefers to snarl most of the time, his occasional screams and maddening laughter boost the sense of evil that the music carries. Keyboards are also employed here and their presence is felt only in the atmosphere that envelopes this record, thereby avoiding its overuse. The only fault that I can say about this album is that Vulfolaic’s bass work is minimalistic and stays content with following the double bass action. It is not bad, just that it is not out of the ordinary. The attention to detail on this album is incredible. Every track on the album is a worthy competitor for the best track title, including the instrumental intro, interlude (‘Cimmerian Shade’) and album closer (‘Yawm ad-Din’). ‘Peccata Mortalia’ is an album where each track feels unique and memorable. Be sure to pick up this album when it comes out this march. This is a band to watch out for.